40+ Civil Society Organisations reject proposed increase in VAT: Tax the wealthy to invest in our future! We are alarmed to hear that the Minister of Finance is proposing a 1% increase in Value Added Tax (VAT) to 15%. 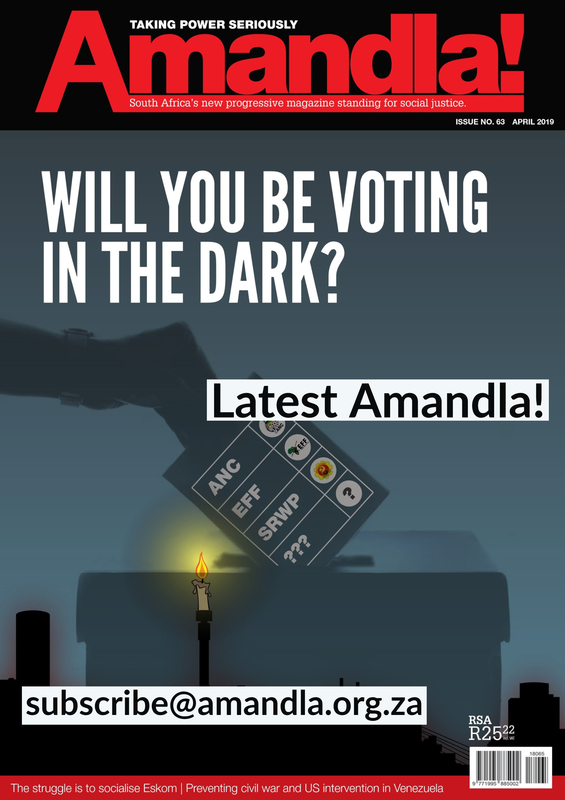 In the light of a stagnant economy, growing debt and a further wave of job losses, we as civil society are taking up President Cyril Ramaphosa’s SONA call to engage his government in critical policy issues. The national budget is one of the most important of these. An increase in VAT will mean less value for your buck; those with the least money will suffer the most. An increase in VAT will mean the unemployed will have to pay even more for their basic essentials. It is an attack on the poor that South Africa cannot afford. If an increase in VAT is a symbol of what the future holds under Ramaphosa it will mean harder times for South Africa’s poor. We need state spending, not austerity! 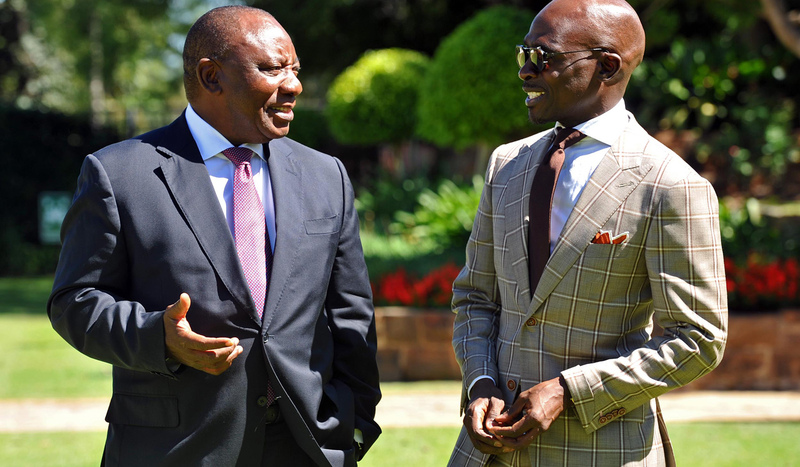 In the context of a substantial revenue shortfall (R50,8bn) in 2017, and a budget deficit of 4.3% of GDP, it is easy to batter public opinion into believing that there is no alternative to austerity. However, as has been the case in Europe where austerity has been imposed, it neither resolved the debt crisis, nor did it do anything to stimulate the economy on a sustainable basis. In a society facing much greater social crises than in Europe, deeper austerity would precisely be the wrong medicine. 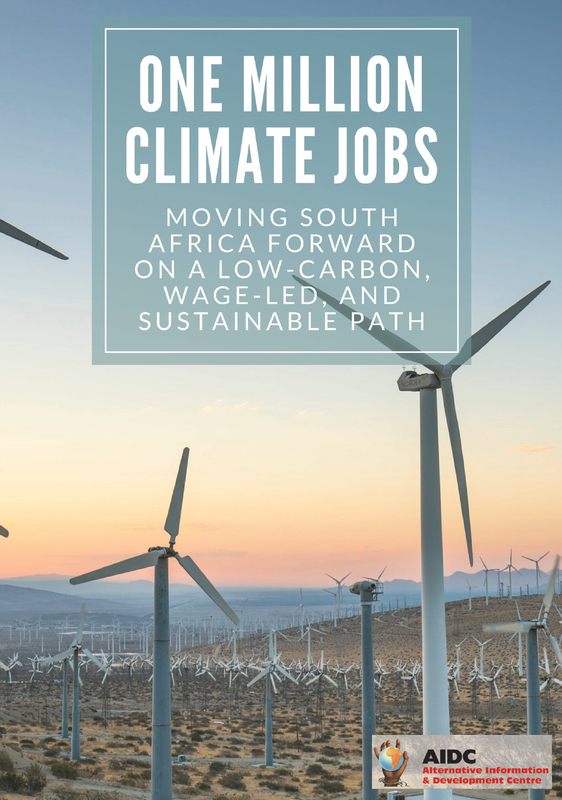 If government is serious about tackling youth unemployment then apart from land redistribution and a mass housing programme, the water crisis in the Western Cape suggests further approaches that can be used to realise hundreds and thousands of jobs in fighting climate change. In the same vein, investment in dealing with our transport and energy crisis through the roll out of expanded public transport and the expansion of socially owned renewable energy can absorb many young people into decent and useful work. Similarly, the employment of large numbers of community health workers could not only improve health outcomes and reduce health care costs, but also employ many poor women who in turn would contribute to the economy. All of these interventions would have knock on effects in stimulating local industries and give them the opportunity to grow the small and medium enterprises – which government has committed to doing. This, in turn, can stimulate further job creation. Such a redistribution and job creation strategy requires not the cutting of expenditure, but a significant growth in expenditure. The financing can be realised through progressive tax reforms, and development financing mainly from government sources itself. TAX the wealthy to invest in our future! Government must abandon its austerity policies and adopt fiscal policies that redistribute wealth to meet basic needs and ensure a people centred growth path. Some of the ways of raising revenue include increasing personal income tax on high income earners, increasing the corporate tax and implementing a carbon tax. Increasing, sin and sugar taxes should also be considered. All of this should make it possible to relieve the burden on the poor, and get rid of regressive tax policies in opposition to mainstream economists who are calling for VAT increases. In other words, we can meet the immediate needs of dealing with mass unemployment, redistribute wealth without bankrupting the state. President Ramaphosa, there are alternatives. Use them! We wish to pledge and registering our support and participation with regard to the VAT mustfall movement. We have also taken note of VAT increase without proper consideration and disadvantages may be caused. Sibunye After-Care And Developmental Center. I reject vat on behalf of the masses in this country. This corrupt government are lying to the people that they care about them, when in fact all they doing is making people pay for their corruption and lack of proper administration of government. On the face of a deficit they gave themselves increases, we are not just paying for their luxury lifestyles, we are paying for their corruption, of stealing and robbing the state of funds that belong to the people. It is daylight robbery. They call it much needed funds, whilst the funds go into their pockets. When will the poor masses realise that for the last 20 odd years that we all being robbed of a better life and we continue to pay for the robbery by this government. They could have downsized an overly bloated public service and the cabinet itself. They could have frozen all their salaries for the next three or five years. Hell no they had to take the grain of rice out of the mouths of the poor masses who are struggling to put food on the table. They have the audacity to think the poor only eat rice, and pap. We will zero rate pap they say. The cheek and audacity of a corrupt government. Protecting the poor by zero -rating basic foodstuffs like beans and brown bread? Those foods eaten alone lead to low-nutrition diets. The poor are condemned to eat poor. Please sir, May I have some meat?’ Patronising, disingenuous bullsh*t. The poor have to pay VAT on every services they access. VAT and fuel levies increase the cost of less basic food and services. It increases the cost of transport. It affects everything. Poor people do not exist in a happy bean-eating paradise. They have the same needs as every else, like transport, shoes, clothing… No amount of whitewash I going to change the fact that VAT will dramatically increase the poverty ofthw poor!